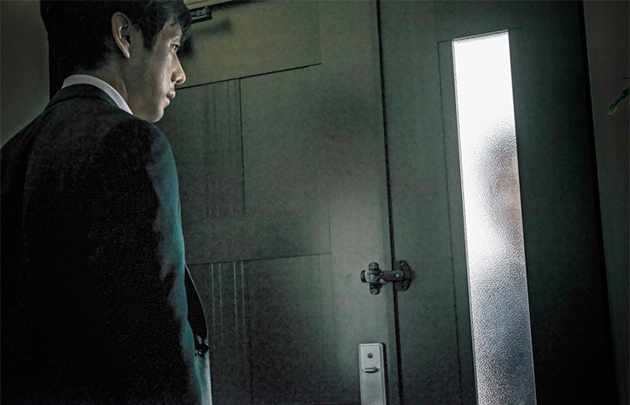 Kiyoshi Kurosawa, who made his name with classics CURE and BRIGHT FUTURE, gets back to his roots by putting the thumbscrews to the audience with his latest, CREEPY. A year after a botched hostage negotiation with a serial killer turned deadly, ex-detective Koichi (Hidetoshi Nishijima), and his wife move into a new house with a deeply strange new neighbor (Teruyuki Kagawa). His old cop colleagues come calling for his help on a mysterious case, which may be related to the strange goings-on next door, in this insidiously-constructed narrative that braids plot twists on top of plot twists and shock on top of shock. A narrative film based on a mysterious suicide cluster that took place in Bridgend County, a small former coal-mining province in Wales. Between December 2007 and January 2012 seventy-nine suicides were officially committed in the area. The lives of a beautiful divorcee and a troubled detective intersect during the investigation of a vicious murder in London. Ingrid (Ellen Dorrit Pettersen) is a woman contending with the loss of vision.